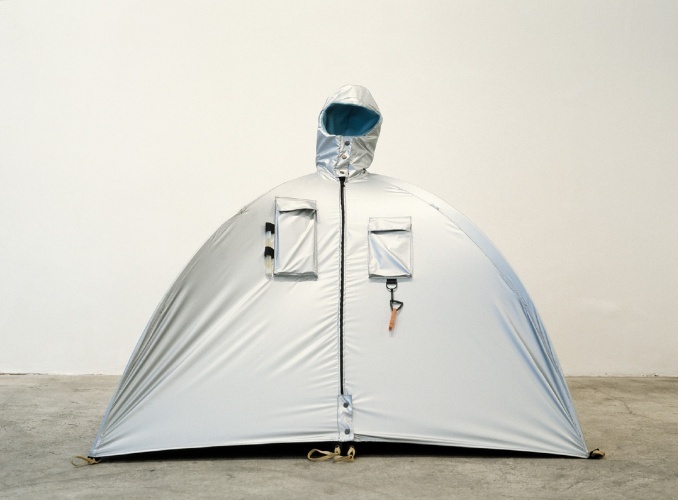 The project consists of a series of temporary shelters that can transform itself into clothing and transport bags, and provide autonomous habitats offering mobility and protection in situations of human distress or unsuitable social environments. 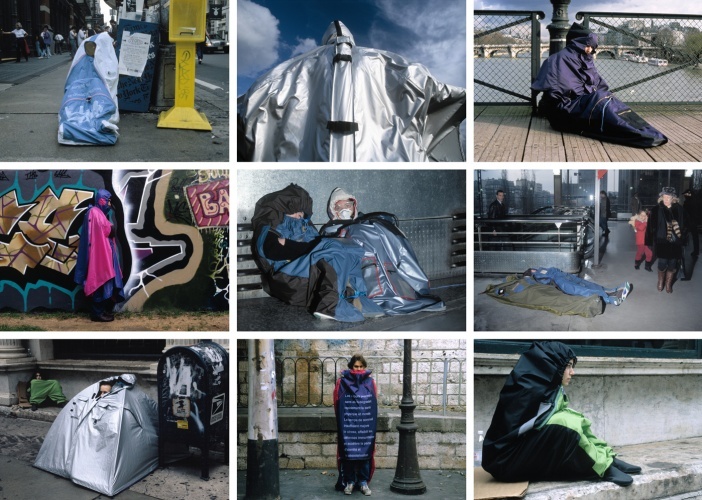 The artist has developed the series Refugee Wear in collaboration with individuals in difficulty and nomadic populations as well, like homeless people for instance, to create different prototypes that provide a comfortable place to rest in extreme conditions. This project had as its goal to provide a vital refuge, temporary protection, water reserves and medical supplies in many critical cases of homeless people (Kurd refugee population) or a temporary protection and shelter in case of natural disasters such as the Kobe earthquake. These prototypes offer possible solutions to improve homeless people’s lives and providing temporary protection and shelter in case of natural disasters.